In the current study, we aimed to investigate the histological and histochemical characteristics of stomach of Salamandra infraimmaculata. The stomach of S. infraimmaculata was composed of four distinct layers; mucosa, submucosa, muscularis externa and serosa. The inner surface of gastric mucosa was lined by surface mucous cells which were simple columnar epithelium. Gastric glands were observed in mucosa. Mucous neck cells were located at the upper portion of glands, besides oxynticopeptic cells which were predominant at the gland body. The secretory components of mucous cells were neutral and acidic glycoproteins. The mucosa was separated from muscularis externa through submucosa which was formed by loose connective tissue. Muscularis externa consisted of a thick layer of smooth muscle. The muscularis externa was surrounded by the serosa which was the outermost layer of digestive tract. 1. Stevens, C.E. ; Hume, I.D. Comparative physiology of the vertebrate digestive system. Cambridge University Press, Cambridge, 2004. 2. Junqueira, L.C. ; Carneiro, J. (Çeviri: Y. Aytekin, S. Solakoğlu). Temel Histoloji. İstanbul: Nobel matbaacılık, 2006, pp 291-307. 3. Kunz, G.; Beil, D.; Deininger, H.; Wildt, L.; Leyendecker, G. The dynamics of rapid sperm transport through the female genital tract: evidence from vaginal sonography of uterine peristalsis and hysterosalpingoscintigraphy. Human Reproduction, 1996, 11(3), 627-632. 4. Cone, R.A. Barrier properties of mucus. Advanced Drug Delivery Reviews, 2009, 61(2), 75-85. 5. Akat, E.; Arıkan, H. Morphology and biometric study of skin of Hyla orientalis Bedriaga, 1890 (Anura, Hylidae). Russian Journal of Herpetology, 2013, 20(4), 253-258. 6. Akat, E.; Arıkan, H.; Göçmen, B. Histochemical and biometric study of the gastrointestinal system of Hyla orientalis (Bedriaga, 1890) (Anura, Hylidae). European Journal of Histochemistry, 2014, 58(4), 291-295. 7. Lillehoj, E.P. ; Kim, K.C. Airway mucus: its components and function. Archives of Pharmacal Research, 2002, 25(6), 770-780. 8. Cole, C.R. ; Smith, C.A. Glycoprotein biochemistry (structure and function)—a vehicle for teaching many aspects of biochemistry and molecular biology. Biochemical Education, 1989, 17(4), 179-189. 9. Feder, M.E. ; Burggren, W.W. Environmental physiology of the amphibians, University of Chicago Press, Chicago, 1992, pp 1-6. 10. Lutz, I., Blodt, S., Kloas, W. Regulation of estrogen receptors in primary cultured hepatocytes of the amphibian Xenopus laevis as estrogenic biomarker and its application in environmental monitoring. Comparative Biochemistry and Physiology C, 2005, 141, 384-392. 11. Hayes, T.B. ; Case, P.; Chui, S.; Chung, D.; Haeffele C.; Haston, K.; Lee, M.; Mai, V.P. ; Marjuoa, Y.; Parker, J.; Tsui M. Pesticide mixtures, endocrine disruption, and amphibian declines: are we underestimating the impact? Environmental Health Perspectives, 2006, 114, 40-50. 12. Pittman, S.E. ; Osbourn, M.S. ; Semlitsch, R.D. Movement ecology of amphibians: a missing component for understanding population declines. Biological Conservation, 2014, 169, 44-53. 13. Amin, N.M.; Womble, M.; Ledon-Rettig, C.; Hull, M.; Dickinson, A; Nascone-Yoder, N. Budgett's frog (Lepidobatrachus laevis): A new amphibian embryo for developmental biology. Developmental Biology, 2015, 405, 291-303. 14. Langone, J.A. ; Camargo, A.; de Sá, R.O. High genetic diversity but low population structure in the frog Pseudopaludicola falcipes (Hensel, 1867) (Amphibia, Anura) from the Pampas of South America. Molecular Phylogenetics and Evolution, 2016, 95, 137-151. 15. Budak, A.; Göçmen, B. Herpetoloji (Ders Kitabı). İkinci baskı. Ege Üniversitesi Yayınları. Fen Fakültesi Yayın, (194), 2008. 17. Crespo, S.; Carrassón, M.; Dopazo, L. R.; Grau, A. A histological, histochemical and ultrastructural study of the digestive tract of Dentex dentex (Pisces, Sparidae). Histology and Histopathology, 2006, 21, 579-593. 18. Hariri, L.P.; Tumlinson, A.R. ; Wade, N.H.; Besselsen, D.G. ; Utzinger, U.; Gerner, E.W. ; Barton, J.K. Ex vivo optical coherence tomography and laser-induced fluorescence spectroscopy imaging of murine gastrointestinal tract. Comparative Medicine, 2007, 57(2), 175-185. 19. Hamdi, H.; El-Ghareeb, A.W. ; Zaher, M.; AbuAmod, F. Anatomical, histological and histochemical adaptations of the avian alimentary canal to their food habits: II-Elanus caeruleus. 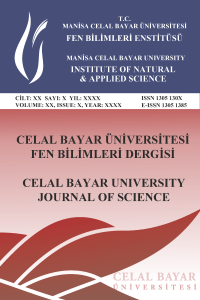 International Journal of Engineering Science, 2013, 4(10), 1355-1364. 20. Smith, D.M. ; Grasty, R.C. ; Theodosiou, N.A. ; Tabin, C.J. ; Nascone‐Yoder, N.M. Evolutionary relationships between the amphibian, avian, and mammalian stomachs. Evolution & Development, 2000, 2(6), 348-359.